The Irish Coast Writing Bureau is made with a reclaimed and recycled wooden frame featuring an African dusk finish. 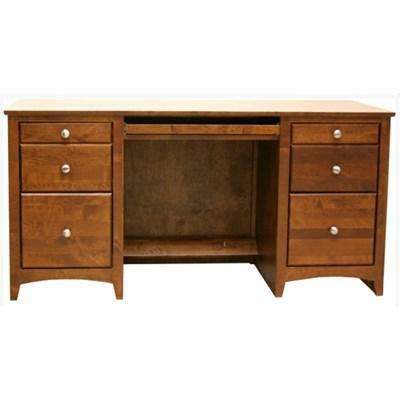 This bureau features tapered feet, 2 drawers and 2 smaller drawers with knob pulls. 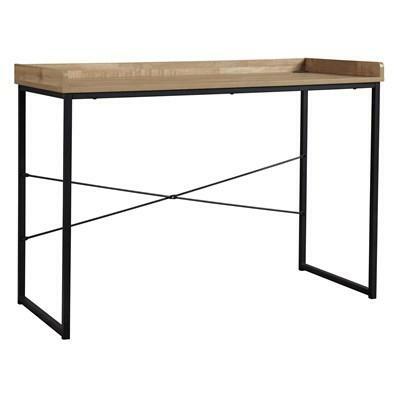 The Post & Rail Desk features a Sundried Ash finish, 5 storage drawers, and a durable construction. It is made of reclaimed and recycled wood. Add style to your office with this piece. 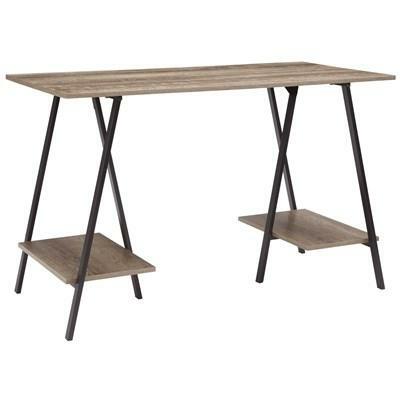 The Remix Writing Desk features an Estelle Brown finish, a durable construction, and a Mid-Century Modern style. 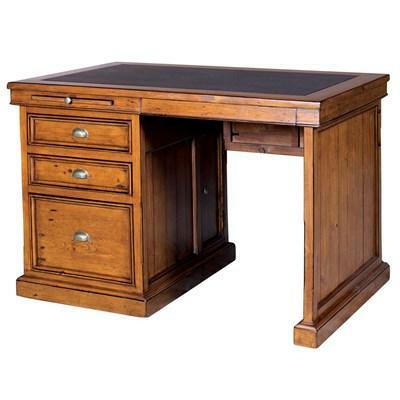 It is made of solid Acacia wood and is a perfect choice for any office. 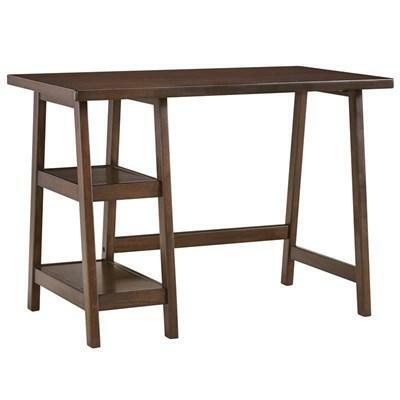 The D-Bodhi Tango Writing Desk is made with a recycled teak wood frame featuring a brown finish. 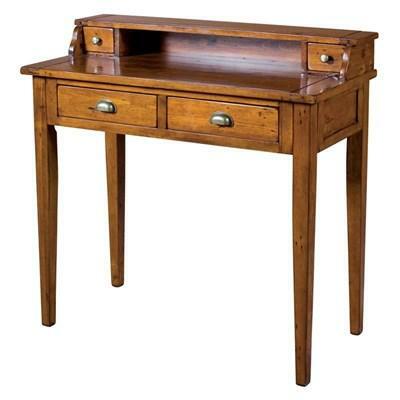 This writing desk which originates from Indonesia features flared legs, a metal support and 2 shelves. 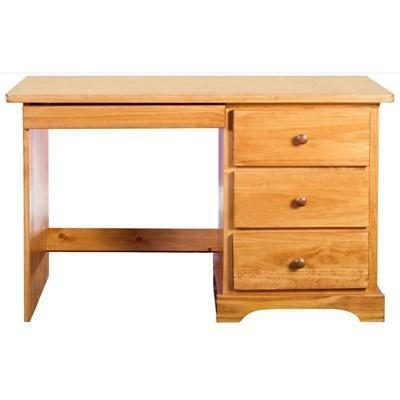 This Desk from Mako Wood provides ample storage with its three drawers on each side. It also provides a keyboard pull-out tray. 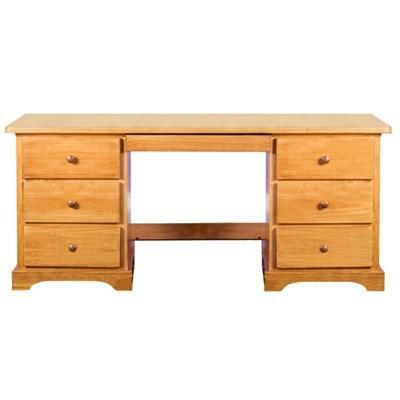 It is constructed from solid Alder wood. It can be paired with the matching Hutch for extra storage. 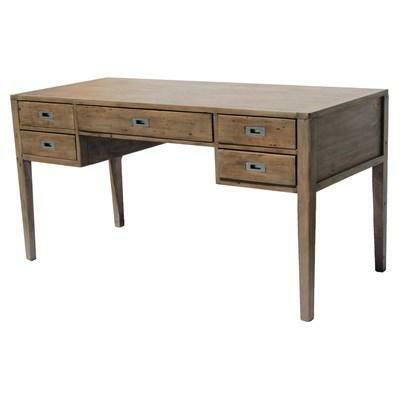 This Desk from Mako Wood provides ample storage with its three drawers on each side. It also provides a pencil drawer. It is constructed from solid Pine wood. 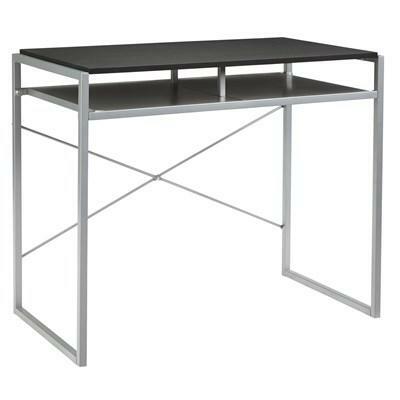 The Desk features a pedestal and three drawer side. It also provides a pencil drawer. It is constructed from solid Pine wood. 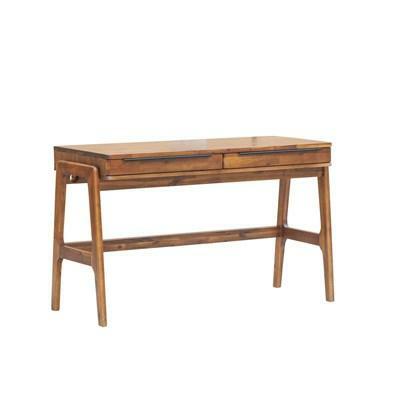 Make a bold statement in a compact footprint with the high-style Gerdanet desk. Striking contrast of light wood-tone top and sleek black metal frame is so dramatic. 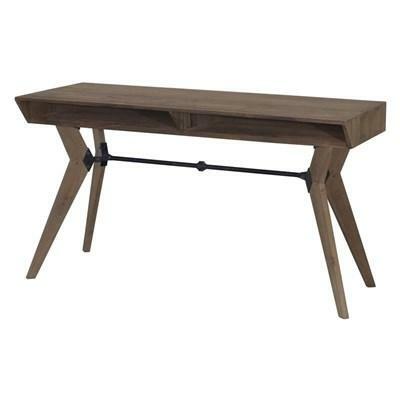 Three-sided gallery rail is crafted for form and function.